Dr. Michael Kowalski is an Acupuncture Physician and founder of the Acupuncture & Holistic Health Center. After earning his B.A. at Yale University, he studied Worsley 5 Element Acupuncture for seven years with the eminent Professor J. R. Worsley. 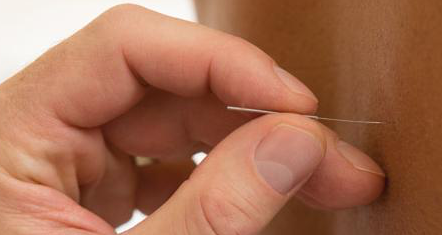 When considering having acupuncture treatments, many people are curious about the needles. Because acupuncture needles are extremely fine (about the thickness of human hair) there is usually minimal discomfort. We offer a variety of natural nutritional supplements - herbal and homeopathic remedies that have proven to be effective for a variety of health concerns. The Acupuncture and Holistic Health Center in Jacksonville, Florida offers a range of holistic health services to meet your healthcare needs. Worsley 5 Element Acupuncture is a unique system of medicine based on the ancient traditions of Chinese acupuncture. Worsley 5 Element Acupuncture treatment restores balance and wellness in body, mind and spirit. Worsley 5 Element Acupuncture treatments provide relief of the physical symptoms of disease and also palpable improvement in a person’s sense of wellbeing, clarity of mind and openness of heart. Holistic care reflects the need to treat the whole person. We are more than isolated body parts plus a brain. We have a body in which every part is affected by every other part. Dr. Kowalski believes in “teaching you how to fish, rather than feeding you a fish.” Dr. Kowalski’s goal with each patient is to help them become more able to help themselves, and to come back less often for treatment. Acupuncture is well known for its effective treatment of chronic pain. Dr. Kowalski uses 5 Element Acupuncture to treat the root cause of the chronic pain condition. Herbal Medicine is using the plants that nature gave us for healing. Herbs can often work as well as or better than medications in some cases, often without the side effects that medications can cause. Dr. Michael Kowalski, A.P., Dipl.Ac. 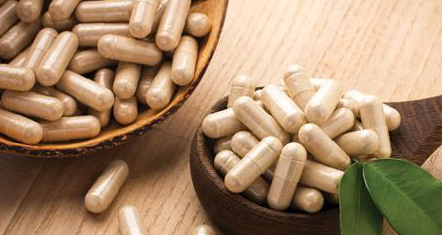 (NCCAOM) uses both Chinese and western herbs to restore the body’s balance. He often uses herbal medicine in conjunction with acupuncture and nutritional support. Dr. Michael Kowalski, A.P., Dipl.Ac. (NCCAOM) (Acupuncture Physician) specializes in natural treatments for the root cause of your health concerns offering acupuncture, nutritional supplements, herbal medicine, and homeopathic remedies. Dr. Kowalski works individually with each patient from a holistic perspective in order to restore your body to balance and optimum health. Why Use The Acupuncture and Holistic Health Center? We help you discover the root cause of your health concerns. Dr. Kowalski specializes in natural treatments for the root cause of your health concerns offering acupuncture, nutritional supplements, herbal medicine, and homeopathic remedies. We offer a wide variety of holistic health care services. Including Detoxification, Natural Hormone Balancing, Wilson’s Temperature Syndrome, Homeopathy, Plant Spirit Medicine, Auricular Acupuncture, and Smoking Cessation. We provide a compassionate approach to healing. Your experience with us is completely tailored to your individual needs and is performed in a peaceful, serene office.